Introducing Bull BBQ Outdoor Kitchens! Daniel’s Lawn & Garden is proud to announce that we are now a Bull BBQ Outdoor Grill distributor. 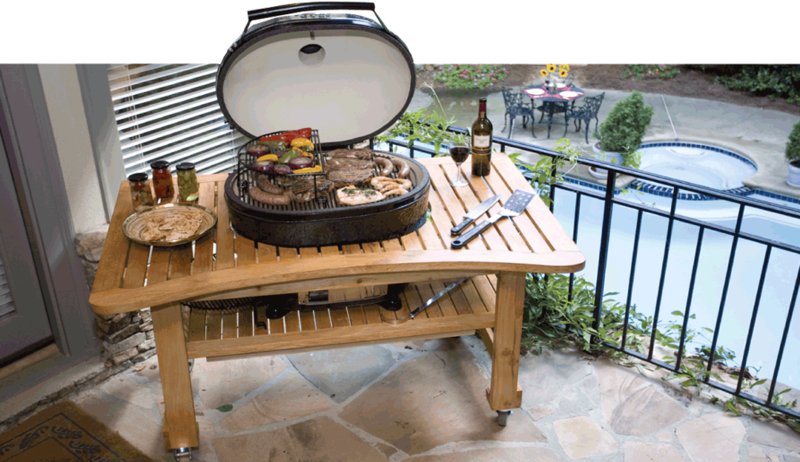 Bull BBQ products are designed and built for outdoor kitchens. They are the perfect complement to your outdoor living rooms. Imagine yourself in your very own resort-like setting – right in your own backyard! Bull BBQ is the leader in design, engineering, and master crafting of the outdoor kitchen grills and gourmet kitchen islands. They are loaded with features that might expect to pay double for in competitive products. Visit the Bull BBQ website. Cooks Direct and Indirect Simultaneously! Patented Oval Design Allows For Greater Flexibility And Versatility! Visit the Primo Grills and Smoker website. We also sell and fill propane tanks 7 days a week!